My husband just fell in love with squash soup! He went to ,ake it and was halfway into it when he realized he needed a blender, and ours was dead, lol. Quick trip to walmart and a late dinner, but it was good! I'm getting over a nasty cold this week and could ude a bowl of that! 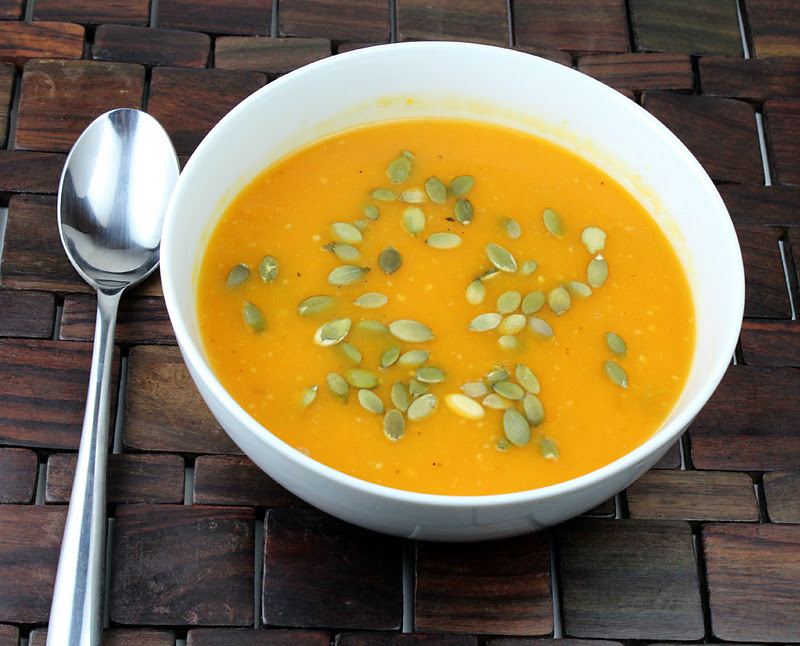 Love butternut squash soup! Love trying new versions/recipes! I've never had butternut squash soup before! Looks delicious! I have never had butternut squash soup but I bet it is delicious and healthy too. Mmmm!! Sounds delish!! I adore squash!! I bet this would be a big hit! !